Few tech disasters can send your stomach into free fall quite like realising you’ve deleted something important from your laptop or phone, with no obvious way to bring it back. Luckily, if you find yourself scrambling to restore your deleted files, there’s still hope. Free tools and apps are widely available to help you recover your deleted data no matter what platform you’re using. Here’s what you need to know. On most modern forms of storage, deleting a file doesn’t actually delete it: it usually just tells the operating system in charge that the space the file is using is free for other data. If you can get in quickly enough, it’s possible to bring your file back from its digital grave before something else has rushed in to take its place, so speed is of the essence. Being told you should’ve backed up your stuff right after you’ve deleted a folder full of holiday pictures isn’t very helpful, but it’s worth repeating for future reference. The simplest option is to use a cloud service: iCloud, Dropbox, Google Drive, OneDrive and most others all have un-delete features built into them. If you want to stick with local file storage for your backing up needs, then OS X has Time Machine and Windows has File History, and of course there are a ton of third-party options to choose from as well. If you buy an external hard drive or networked drive, it will often come with a backup program included. 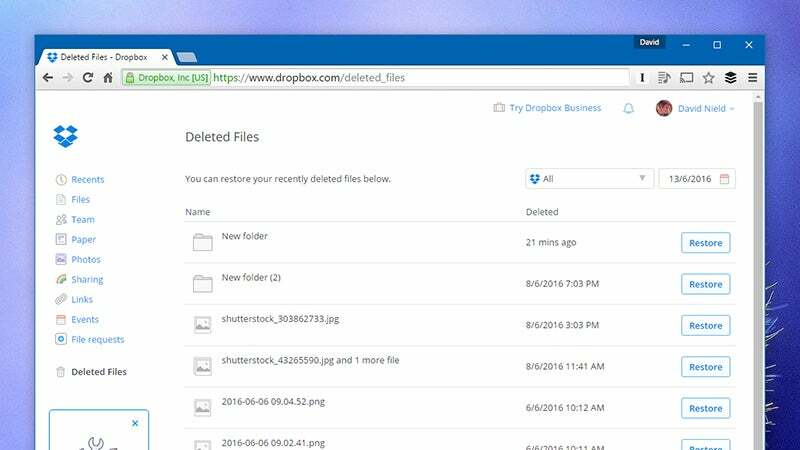 In the case of Dropbox’s apps, for example, load up the web interface, then click Deleted Files to see a list of recently erased files and folders. Click Restore next to any entry to bring it back. Deleted files are kept for 30 days or a whole year if you’ve signed up for Dropbox Pro and the Extended Version History add-on. If your files are gone from the Recycle Bin or the Trash, then you need a dedicated third-party tool to search for and recover your erased files. 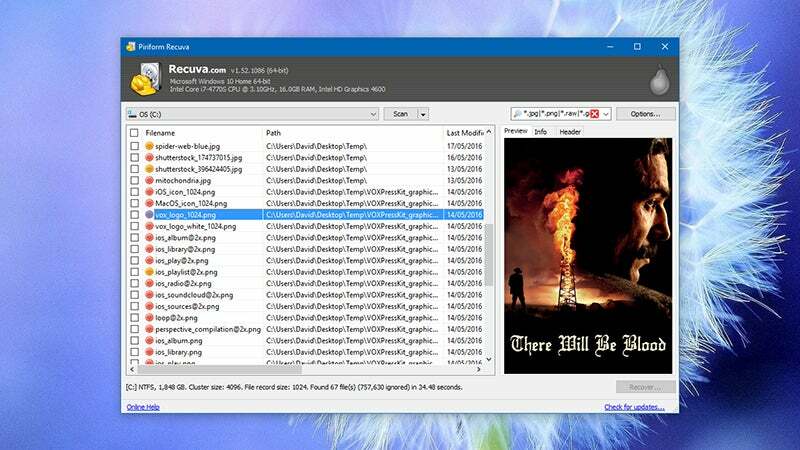 Recuva is one of the best and most well-respected options for Windows, while DMDE and PhotoRec are both worth considering as alternatives for undeleting your data. Those of you on a Mac might want to take a look at Disk Drill, Prosoft Data Rescue and MiniTool Mac Data Recovery. All three come recommended from various sources, though (similar to Windows) there are lots of options to choose from. If one program can’t find your files, you should run a scan with a different program. Recuva gives you a choice of a step-by-step wizard or “advanced” interface with more control. In both cases, you can choose the type of file you’ve lost and where it was (if you know), and Recuva gets to work. If the application doesn’t find anything, you can opt for a deeper scan, which is more thorough, but takes much longer. In the program’s advanced mode, any fragments of files Recuva finds are ranked using a simple traffic light system. If a file is marked green, then Recuva has a good chance of bringing it back. Select the files you want to restore and click Recover to see if Recuva is able to rebuild them successfully. Because of the way recovery programs work, you should shut down any other applications during the restore process (to prevent your precious data being overwritten). You should also restore files to a different location than the one they were originally in; again, this helps to protect the original data. Unless your files were on a memory card (in which case plug it into your computer and use one of the tools mentioned above) getting erased data back on Android is pretty much impossible without root access. This isn’t difficult to do, but it comes with a certain degree of risk (and voids your warranty). We don’t have the space here to delve into a full guide to rooting but Lifehacker has you covered. If you don’t want to root your phone, then that’s your choice, but pretty much every Android data recovery program out there requires rooting before it’s going to be able to get at the fragments of your files. There are dedicated Android apps that will look for deleted files for you, including DiskDigger and Undelete, but you might also be able to recover data by plugging your phone into a computer and using one of the desktop applications mentioned above to look for any traces of your erased files. There are desktop programs dedicated to the retrieval of deleted phone files, but you’ll have to pay to use them and root your phone first. Check out Fonepaw Android Data Recovery and EaseUS Android Data Recovery. Again there’s no guarantee you’ll get your files back. Most of the files you have on your phone will have come from somewhere else (and so you should have a backup), with the notable exception of photos and videos. 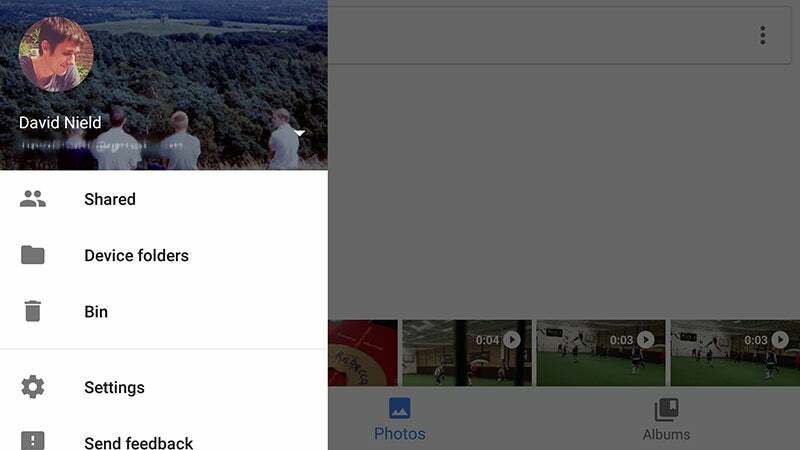 This is an excellent reason to use something like Google Photos to manage your pictures, especially because there’s a recycle bin built right into it. If you’re trying to get photos back from the digital grave when it comes to an iPhone, all your other files are likely to be copied somewhere else, either in iTunes or on the web. 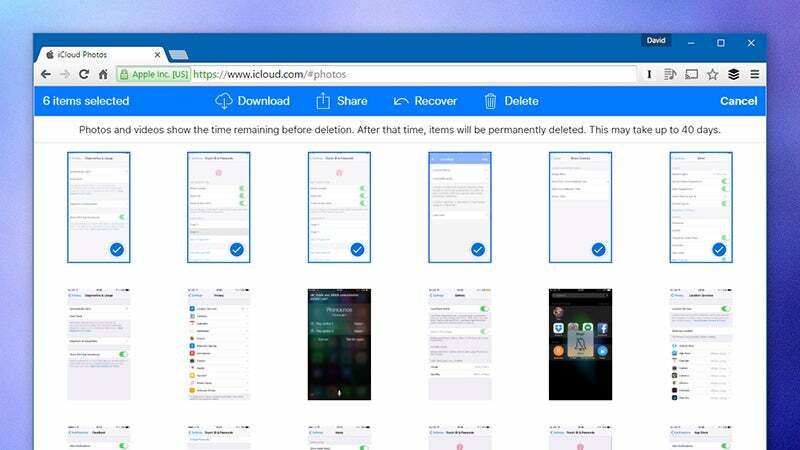 If you’ve recently backed up your phone to iTunes or iCloud, you can retrieve your photos from there. Your first port of call should be the Recently Deleted album folder in the Photos app (or in your iCloud Photo Library), where your pictures and videos will stay for up to 40 days before being permanently erased. That’s a pretty big window of time for you to weigh up whether you really did want to delete that image. As for other types of files, if you’ve deleted something that hasn’t been synced from iTunes and isn’t included in an iOS backup your options are unfortunately pretty limited. While there are desktop programs you can try, like Dr. Fone iPhone Data Recovery, they can only get access to certain types of data. With access to the iOS file system pretty restricted (remember most Android un-delete tools only work if you root your phone), apps can’t perform the same magic tricks as desktop software can to bring your files back. Unless you know a data forensics expert, your files are pretty much gone for good. If you’ve scoured your backups and iCloud’s un-delete options with no success then all you can do is make sure it doesn’t happen again. Make regular backups and sign up for an extra cloud service, whether it’s Google Photos or Dropbox, so you always have at least one additional copy of all your important files.